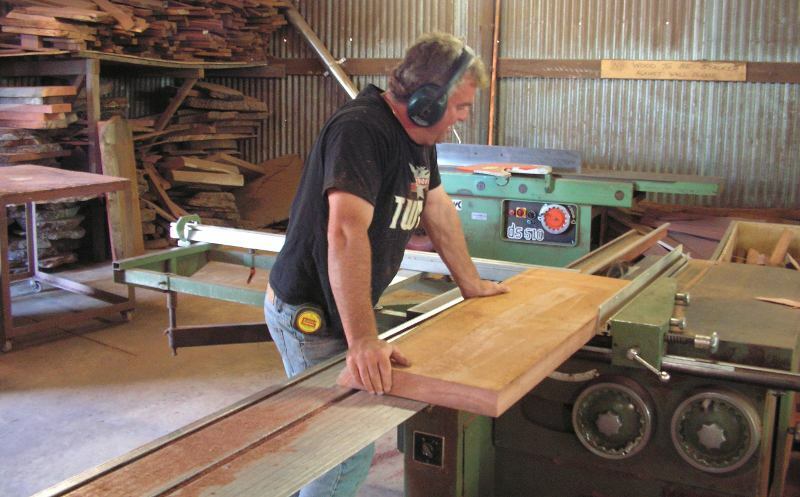 Boranup Furniture has come a long way since James pitched his tent, started the generator and built the first iron workshop back in 1987. As finances permitted and through market demand this has now grown to 1000 square metres of a conglomeration of buildings, most of rammed earth construction. 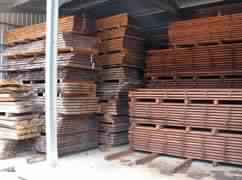 Approximately 300 cubic metres of air drying timber are stored around this facility waiting for their turn in the 20 cubic metre Kiln. This is one of the largest stockpiles of sawn speciality timbers in the state and ensures our future for the next two decades. Boranup furniture’s emphasis on the quality of finish is characterized by 25% of this space being dedicated to the achievement of that finish we are renowned for. 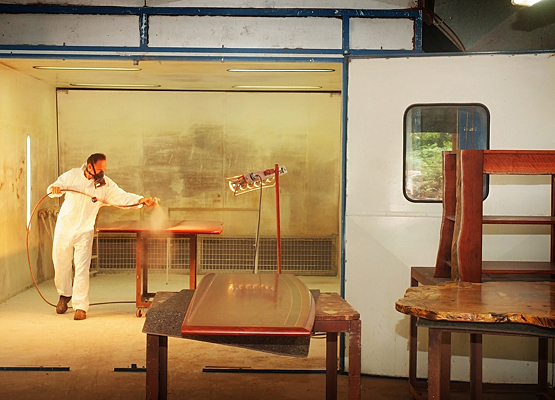 It incorporates an automotive spray booth which caters for the largest of commissioned pieces. Adjoining this area is display space for finished table tops enabling 25 table tops to be on display between the gallery and workshop at anyone time. 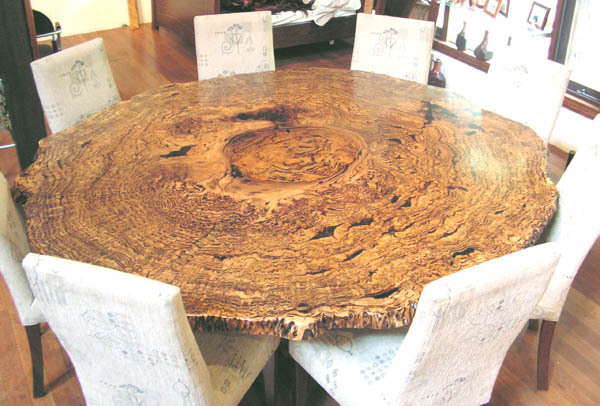 Each table being different to the next by way of timber species, leg design, multi or single slab, natural edge or refined and inlay timbers used. Something for every ones tastes. 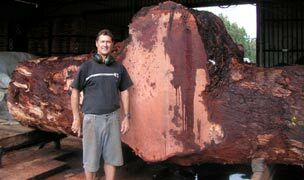 For those discerning timber lovers massive thousand year old Jarrah of Marri slabs can be viewed as can 2.7m round burlwood slices in a variety of timbers. All of which today are irreplaceable. The main furniture making facility houses a diverse range of machinery powered by a combination of 3 phase converters and a 75KVA diesel generators, being a rural isolated area, power supply has always been challenging. Operating this facility is a team of dedicated craftsmen built up and trained over two decades.